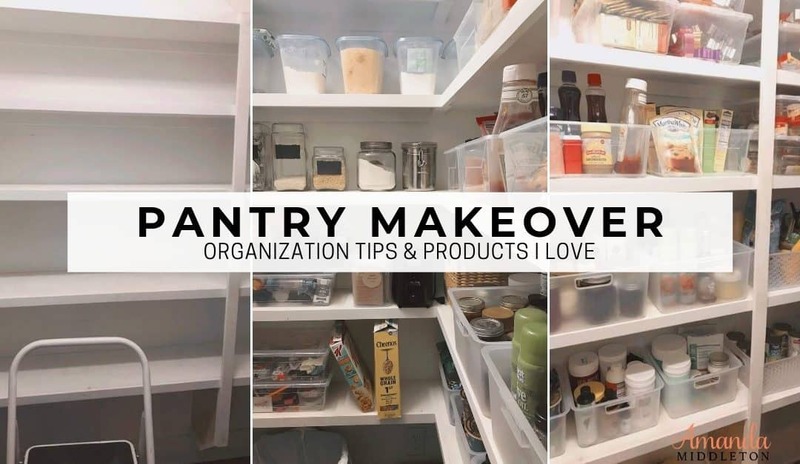 Simple Pantry Makeover Tips and Organization Products I LOVE! Oh, the drama! 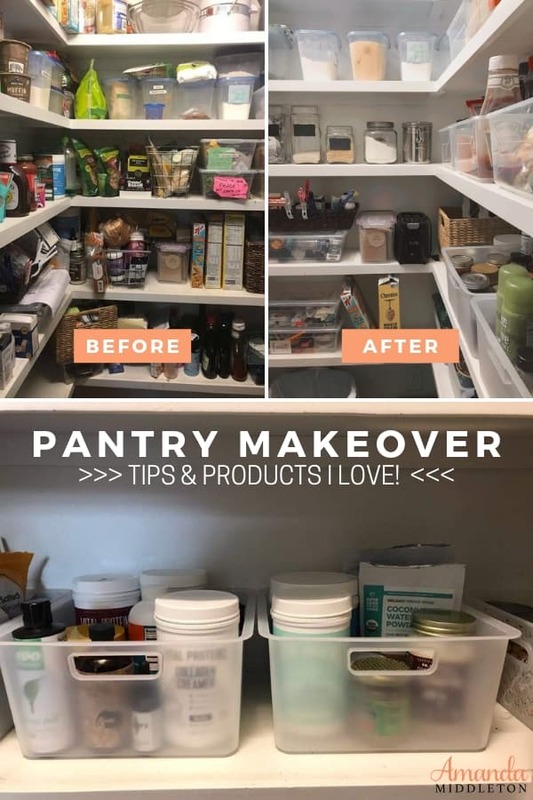 I absolutely needed this pantry makeover. But I fell in love again! 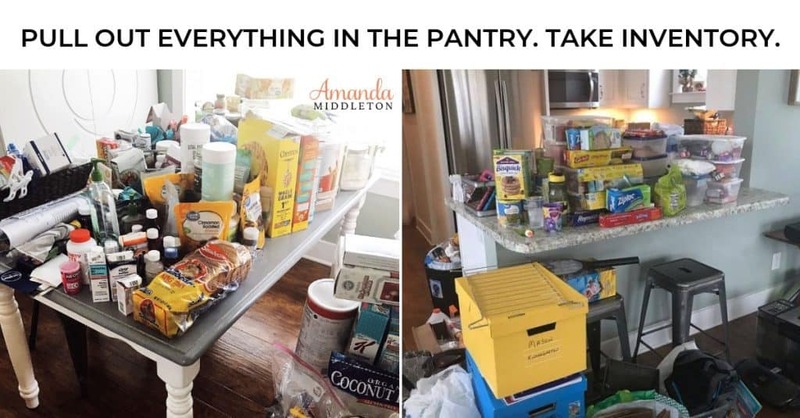 My pantry has not been cleaned out in…. well, let’s just say it has been a while. I am ashamed to admit how long it has been since I had last cleaned my pantry out, let alone seen the floor of my pantry. There was junk everywhere. As I started cleaning I found things that I had been looking for nearly months, maybe even years and I found things that should have never even been in the pantry in the first place. So I did a complete overhaul of my pantry, it was greatly needed. If you are new here, I have been sick for nearly two years with a rare genetic heart condition and a lot of things that needed to be done around the house had been put to the side, because, well you know, I was sick, trying to stay alive and my life was more important than some crazy, disorganized pantry. Life got in the way! But, now that I am feeling better, I have been going through my home one room at a time and organizing, throwing away and decorating. I started with the hardest task yet, the pantry! Cue dramatic scary music…. I have a nice walk-in pantry. When we built our home three years (and some change) ago we had a great spot for the pantry to sit, just below the stairs. We do not believe in wasting space, so we made sure to take advantage of every single ounce of space. From there, my pantry was born. 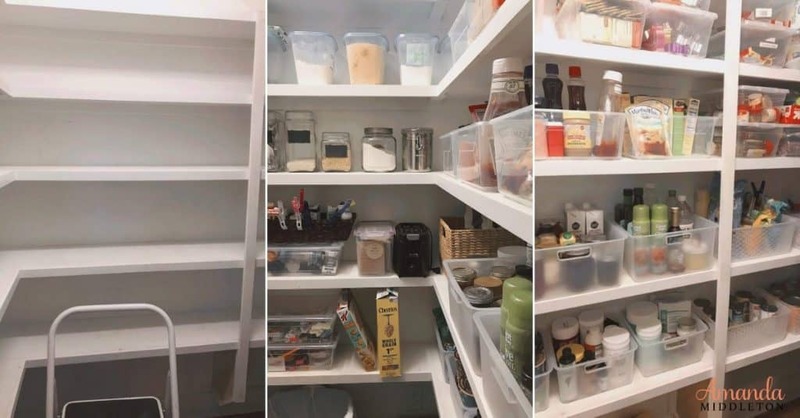 I am sure you know, as with any space in your house you have to have a plan and you have to make sure you organize it well or it will become a “cluster” like mine was a few days ago. Even though I had organized it well when we moved in three years ago, over the years it had become the great obstacle that no one wanted to tackle. So, someone had to take one for the team! Right?! First I took inventory of items I already had and pulled out the containers I wanted to use in my newly cleaned Pantry. From there I went to Target. Yeah I know, I know! I know what you are thinking: Any reason to go to Target, Mandi! Well, it is no secret, especially if you follow me on Instagram stories that I love Target! I chose containers and bins that I could use on the shelves and on the floor. I knew that not all of the items on the floor could come off of the floor, so I made sure that every item had a place. We use our floor containers for larger canned goods, Le Croix cans, etc. On the shelves, we made sure every bottle, box or canned good had a place. Most of the items were set into a bin so we could easily pull out the bin and see what was in the back without having to remove every single item in front of it. Simplicity at it’s best! Don’t forget to simplify even more, put your flour, sugar, and staples into a single container for easy access. I used a few I already had in my pantry and kitchen. As you can see, everything has a place, there is no wasted space and it’s simplicity at it’s best! Now I need to work on making some crafty and cute labels, but until then I can order some cute and stylish labels online. Send the family away so you can have all kitchen and pantry space to yourself. 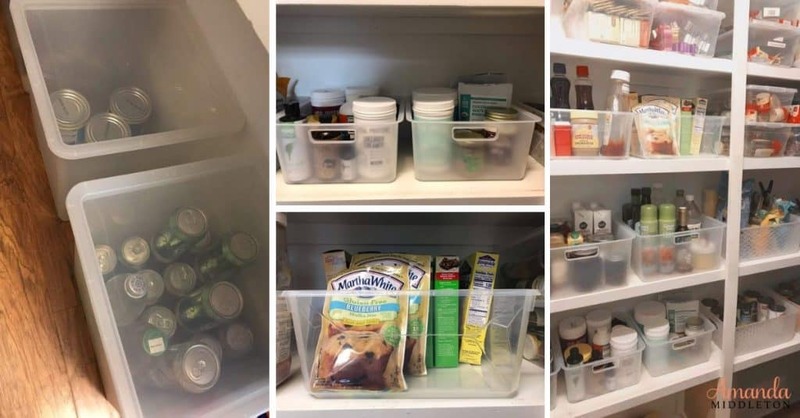 Pull all items out of the pantry and take inventory of what you have. Throw away the items you do not need. Take inventory of containers and bins you may already have laying around the house that you can use instead of buying brand new items. Only put items you love and are in date back into your pantry. Give the rest to charity, a soup kitchen, a pantry closet for the needy, etc. Have plenty of patience, because yes, you may find a kids’ sock or two, kids toys or maybe even a pair of kids’ underwear in the pantry. I promise I didn’t find undies, but girl, I was prepared for anything! May the force be with you! 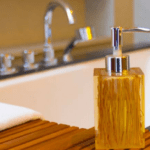 You’re going to need it…..